Apartment Milan with 2 bedrooms and 2 bathrooms, on the 7th floor with elevator of an ’80s building located in an inner quiet courtyard. Wooden floor in all the apartment. Living room with a sofa double bed, a library, a comfortable table with chairs and a large nice balcony with an amazing open view. In a separated room there is a modern fully equipped kitchen, with a microwaves oven, a dish washer and a nice typical wooden table offering a spacious and useful work surface for cooking. The 2nd balcony is from the kitchen. Along the corridor there are the 2 bedrooms and the 2 bathrooms, in addition to a storage closet. The main bedroom has a double bed, 2 chest of drawers and a large wardrobe. The other bedroom has 2 single beds (in the picture there is still the cot for children, to be updated! ), 2 chest of drawers and a wardrobe. 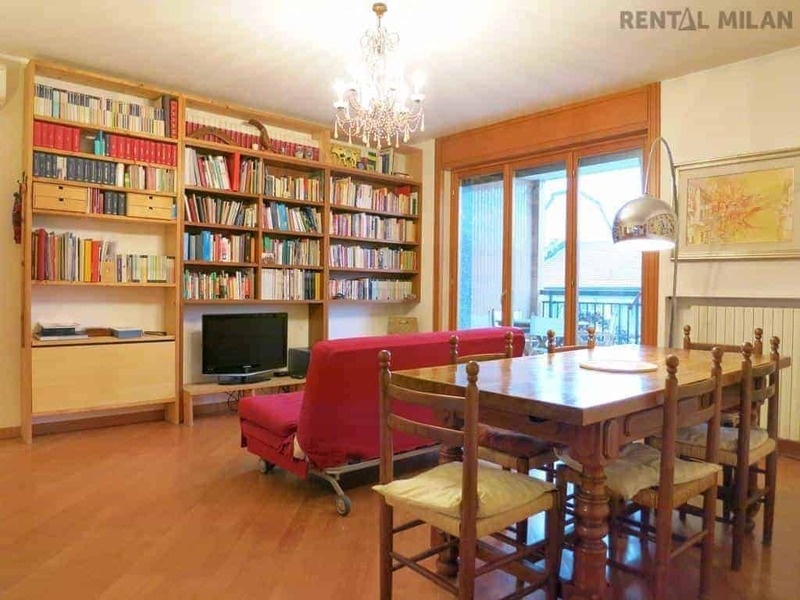 The apartment is located close to zona Tortona in Navigli area. 10 minutes by public transports from IULM. NABA and Bocconi are 20 minutes far. You can very easily reach the city center directly by tram 14 in 15 minutes. Romolo M2 metro station is 15 minutes by bus from the apartment.